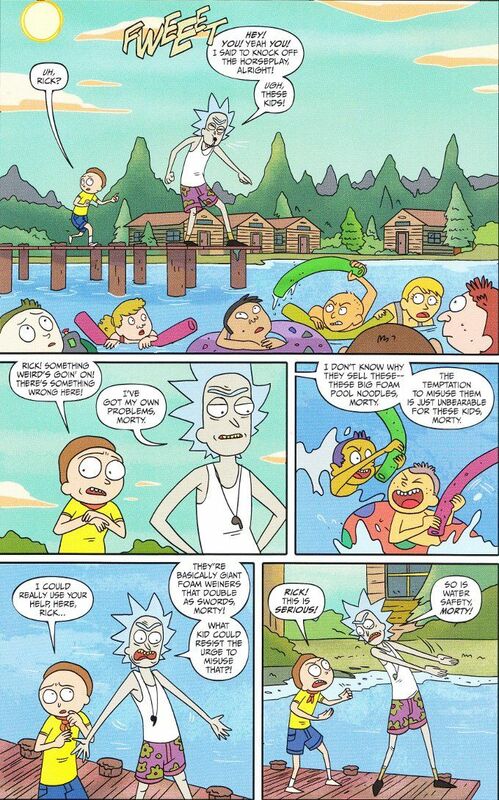 It's time for another fun summer at Camp Camperson - the summer camp that Morty has gone to every summer of his young life... yet never had this mentioned before! 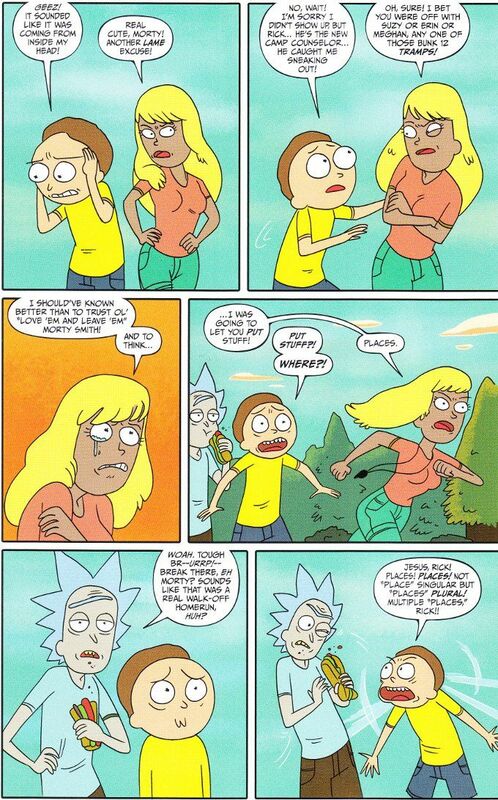 And Rick is there too, working as a counselor... even though Rick hates all this outdoorsy, slice-of-Americana crap! And Morty is popular with all the other boys and all the girls - especially the cutest girl in camp, Lisa Kanoogian - all want to do things with him. Naughty things! Just what the hell is wrong with this picture?! Thankfully, the artwork is still up to snuff. C.J. Cannon continues to capture the visual essence of the show in the main story while Marc Ellerby struts his stuff on the back-up comic showcasing Beth having an inter-dimensional adventure of her own. The inks of Cat Farris and the color art of Ryan Hill complete their work perfectly.